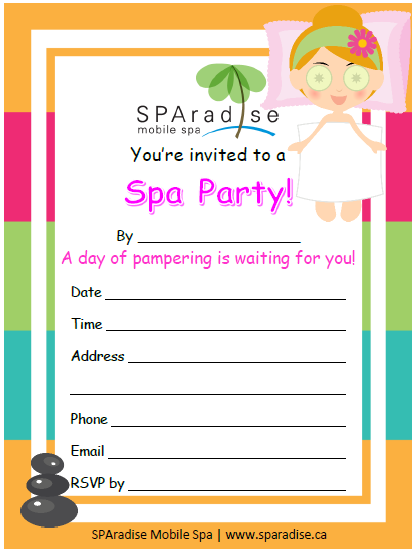 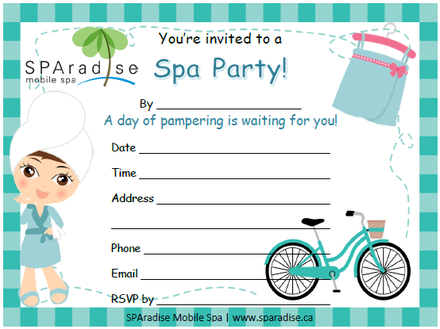 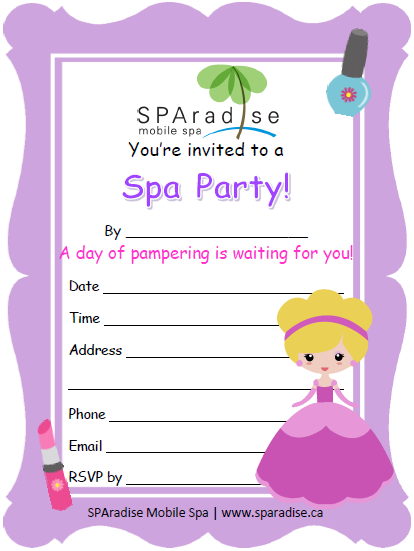 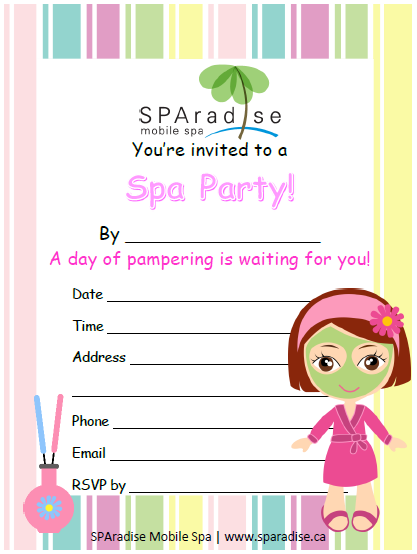 You can download and print out our invitations for free to invite your friends over to relax and be pampered at your Spa Party. 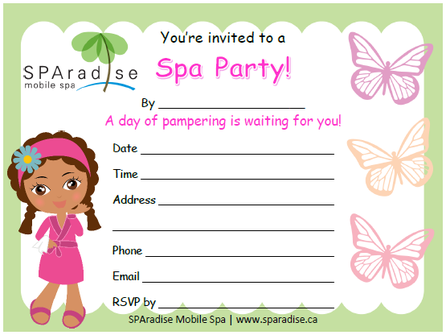 These invitations are 4 cards per page. 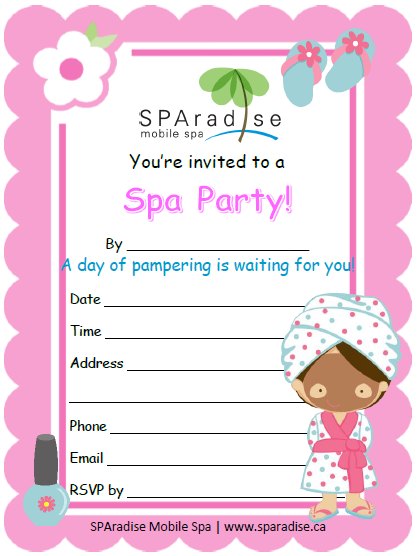 4.25" x 5.5" cards, prints on 8.5" x 11" letter regular or "postcard" paper.